Thanks to twitter user @LinuxSocist for submitting a link to this new Meteor M weather satellite LRPT decoder called ‘meteor_decoder’ which can be run on both Linux and Windows. Pre-built binary of the software for Windows, Linux Raspberry Pi and MacOS are available at orbides.org. This software decoder appears to be an excellent choice for those people who want to perform their reception and decoding of Meteor M satellites all in Linux. Previously as explained in this previous post, you were able to receive the QPSK data in Linux with an RTL-SDR and a GNU Radio program, but then you’d still need to boot into Windows or run Wine to run LRPTofflinedecoder in order to generate the image. Now it appears that the image generation can be performed natively in Linux too with meteor_decoder. This help with creating portable automated Raspberry Pi based Meteor M decoder servers. Meteor M is a class of Russian weather satellites that transmit live weather images of the earth as they pass over your location. 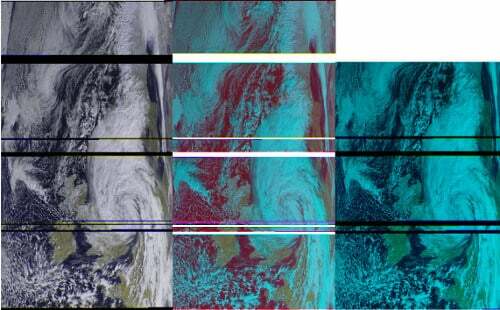 They are somewhat similar to the NOAA satellites, although the Meteor satellites transmit higher quality images via a digital LRPT signal, rather than the analog APT signals used by NOAA. With an RTL-SDR, an appropriate antenna and decoding software they can easily be received. 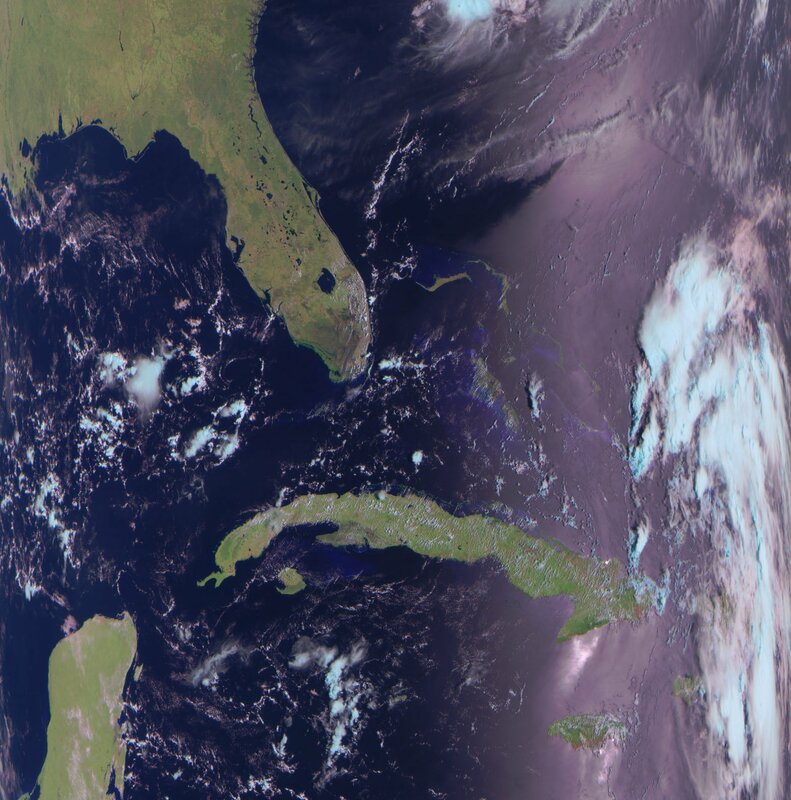 An Example LRPT Image Received with an RTL-SDR from the Meteor M-N2 Satellite.